The Stockholm based Studio, Form Us With Love, has designed a new range of acoustic panels for Baux after being given the brief to think large. In a combination of property and geometry, the studio decided to bring chunks of Swedish forest into the interior space using a wide format. The result is five wall patterns, combining 22 colours that follow the scheme of the Scandinavian landscape, in a contemporary play with the outside and the inside. 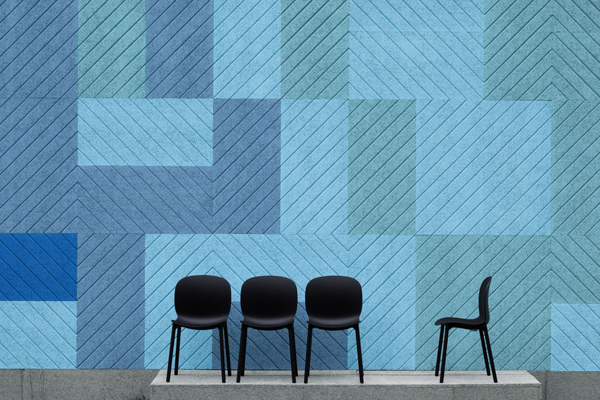 Following the success of the Baux Acoustic Tiles in 2013, installed in offices like Google and Stella McCartney, the Acoustic Panel collection introduces a new dimension of grace. The wider panels, measuring 116 x 53 cm are built to cover volume, generating a more tranquil effect. “The Acoustic panel collection inspires us to create holistic interiors at scale. By using large patterns, we can integrate empty walls and open planned spaces in a both practical and emotional way” says Form Us With Love. The five designed patterns are reminiscent of nature and it is precisely that serene emotional connotation that grows with large measures. Aiming at portraying Scandinavia, creating a landscape of woodland – the acoustic panels transform the atmosphere of any room into a warm, quite and beautiful space. “The pattern resembles the view of nature that we are surrounded by, imagine the scenic view form a train or car window while travelling at high speed through a Nordic landscape – deep blues, dark greens and earthy browns,” says Form Us With Love. 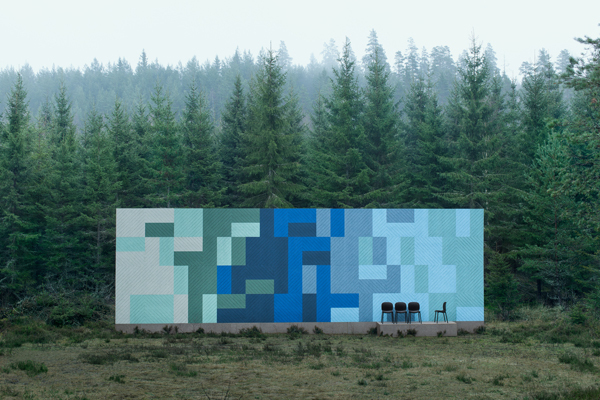 The Baux Acoustic Panels are made from wood, water and cement, manufactured in the deep forest of Småland in Sweden. 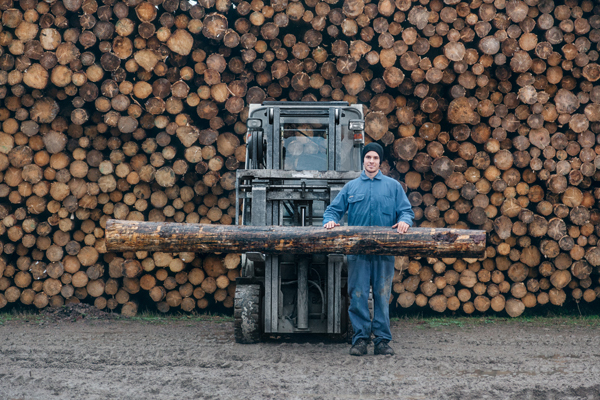 The wood wool comes directly from the spruce trees that grows nearby. The panels have moist regulating as well as sound dampening effect – a natural insulation, produced at a remarkably, zero waste. About BAUX - BAUX is founded on the belief that building materials should be surprisingly functional and remarkably beautiful. BAUX designs, produces and markets construction materials that meet the contemporary expectations of architects, engineers and builders – without compromising safety and environmental standards. 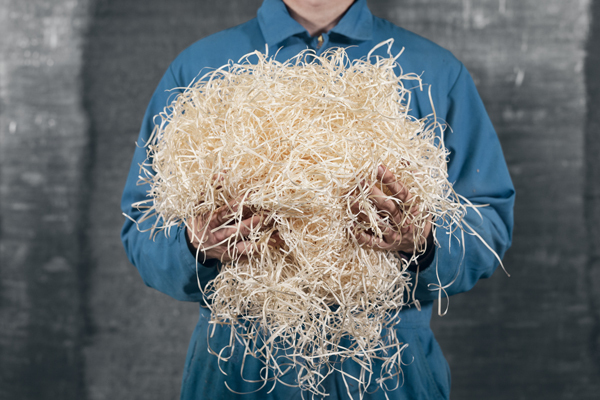 About Form Us With Love: Form Us With Love is a Stockholm based design studio. For almost ten years, the internationally acclaimed studio has put dialogue at it’s core, using strategic design to position, build and sustain brands of tomorrow. The studio works closely integrated with the industry, on site, through audits, workshops and quality control – always striving to balance opposing values to challenge the conventional. Collaborations include; IKEA, Muuto, Absolut, La Cividina, Menu, Cappellini, DePadova, FontanaArte, Bolon, Ateljé Lyktan, Design House Stockholm and Hem. Awards include; iF Awards, Good Design award, Wallpaper Magazine Award, Stora Design Priset, Fast Co ‘50 most influential designers shaping the future’, Elle Decoration’s annual award ‘Designers of the year’.